Island Conservation, the Global Island Partnership, and the International Union for the Conservation of Nature’s Invasive Species Specialist Group will be presenting at the Convention on Biological Diversity’s 14th Conference of the Parties. Why Islands? Representing ~5.3% of earth’s land area, islands are home to 600+ million people and support a disproportionate amount of biodiversity, including ~19% of all bird species and 41% of our world’s most endangered vertebrates. Unfortunately, islands are at the epicenter of the extinction crisis: 75% of extinctions occurred on islands, most caused by invasive alien species (IAS). Healthy Marine Communities? Islands have strong links to marine systems, food webs, seabirds, corals, and fisheries. Research has shown islands free of invasive alien mammals have more productive coral reefs and fish populations—important foundations for human livelihoods and climate change resilience. There is hope! IAS eradications work so island communities, species, and ecosystems can recover. 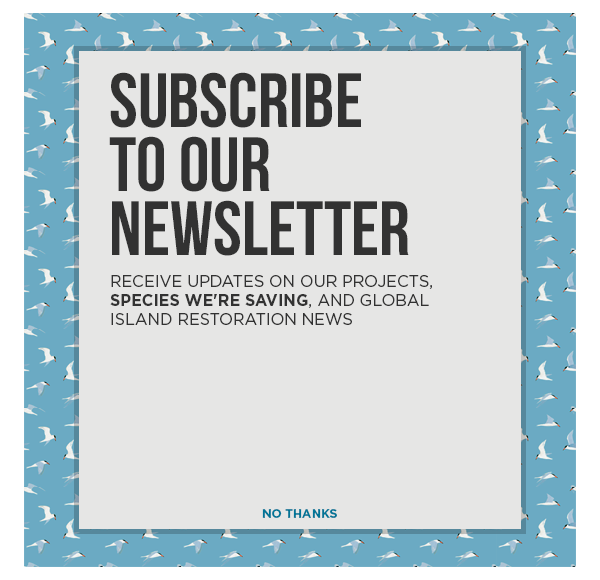 There are more than 1100 successful eradications of IAS from islands documented in all the world’s oceans—a proven conservation tool that is increasingly a priority for island communities. Accelerated islands restoration action is needed in the coming decade of biodiversity. Together we must stem the tide of extinctions by increasing the scope, scale, and pace of IAS eradications. Priority actions are needed today to support this effort. 1. Demonstrate how the removal of IAS from islands contribute to achieving Aichi Biodiversity targets (& successors) and to achieving UN Sustainable Development Goals. 2. Take actions to increase the scope, scale, and pace of island eradications. 3. Catalyze innovative new approaches to accelerate IAS eradications and biosecurity programs including new partnerships, financing strategies, tools, and methods. 4. Connect the 46 island nation Parties, other Parties with islands, island restoration supporters, and innovators to catalyze the next generation island restoration initiatives.